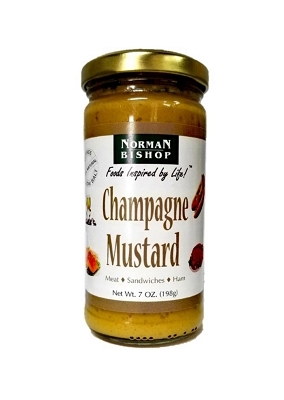 A Grand Champion at the World Mustard Competition (yes, they hold such things)! 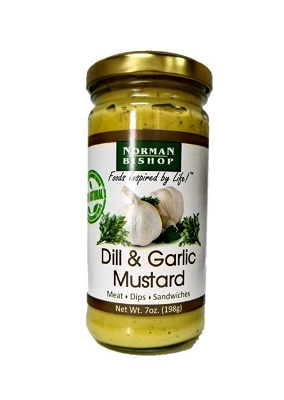 A delightful blend of fresh dill & garlic with our artisan mustard produces a wonderful compliment for sandwiches. 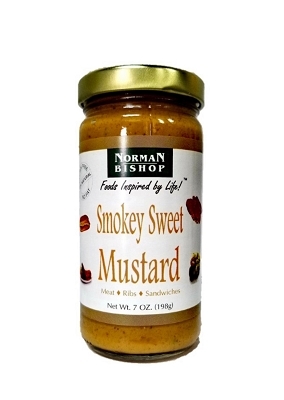 Norman Bishop Dill & Garlic Mustard is ideal with seafood (especially salmon), pork, sandwiches, deviled eggs or in potato salad. 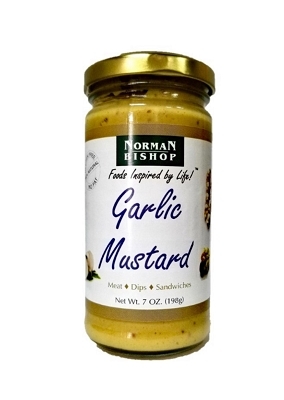 Best Selling Mustard at the National Mustard Museum! Case of 12/7oz. jars. 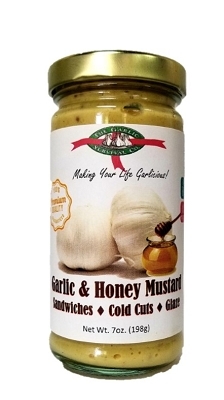 Ingredients: Water, Vegetable Oil, White Distilled Vinegar, Mustard Seed, Roasted Garlic, Honey, Eggs, Salt, Sugar, Lemon Juice, Onions, Xanthan Gum, Dill Weed, Citric Acid, Turmeric, Spices, Nat. Vit E, Natural Flavors, Celery Seed, Annatto, Red Chili Peppers.